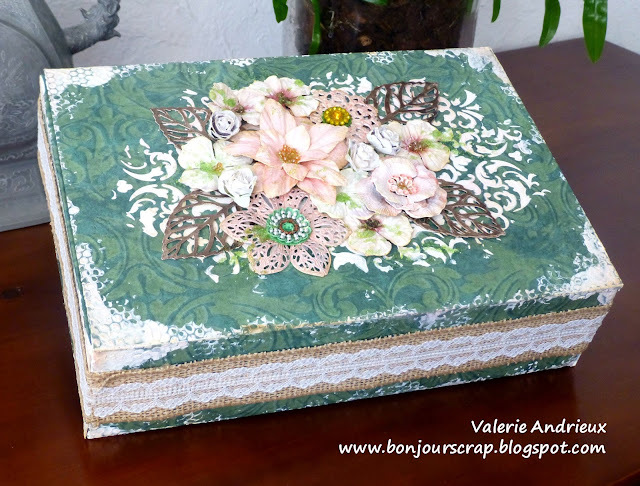 I covered the box outside and inside with papers from the Second Wind collection, applied gesso with damask stencil on the center and with honeycomb stamp on the corners. 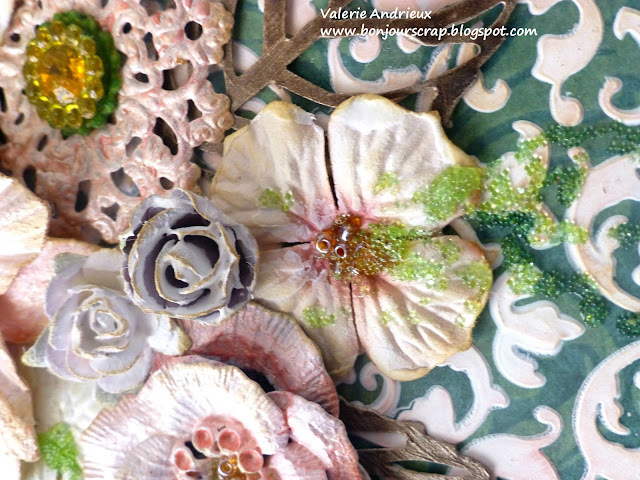 I added touches of pink and tealk chalk over the gesso. 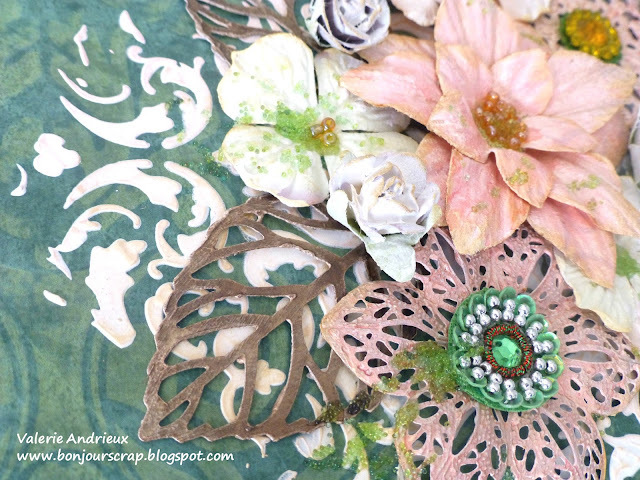 Flowers and metal embellishments were covered with gesso too, then inked with pink spray, or brown for the leaves. Some plum beads and grass minibeads, a burlap and lace ribbon and I was done ! Thanks for taking some time to look at my project, and have fun if you want to try this challenge !